Our nifty little bubble machine sizes and optimizes your images automatically. No more suffering making gazillions of sizes in Photoshop. Upload your images and heavybubble does the rest. We'll help you pick a design. Heavybubble understands that an artist needs to have control. It's essential to add images of recent work, change a biography to reflect a recent exhibition or grant award. Easily change images and text yourself or mark your work sold. 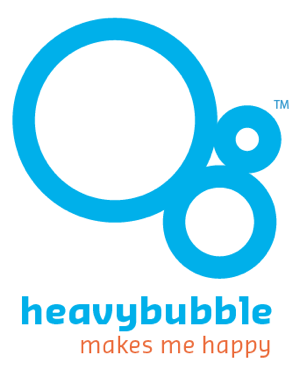 With heavybubble you create and manage your website without hassle. Make changes anytime – without additional cost. Heavy bubble websites have been designed to take a backseat to your art. Our designs are uncluttered and allow your work to be seen to its greatest advantage. Browse through our goodlooking designs. Subscriptions with heavybubble include hosting and domain name registration. Heavybubble uses the latest technologies and content strategies so that search engines will find your site and so will visitors. Additionally, bubbleBlast can get you started with an effective email communication plan.